If you use a vehicle everyday and it has a flat battery one morning, chances are the battery is dead. If you haven't used a vehicle for five months then chances are it just needs charging. A case in point is my tractor. Dead as a door nail. Half a day on charge and it coughs into life with a cloud of black smoke (or not on Sunday - needs a bit longer on charge). This little battery charger has had some use over the last few years. I think as soon as you have a smallholding you have to have something that doesn't start first time, kind of an unwritten rule. Growing up on the farm was no different. I remember that we used to have to leave certain vehicles within range of an electric socket or next to another, more reliable, vehicle so it could be jump started in the morning, sorting this minor problem was something we learnt at a fairly young age. So what's the most unreliable (but easy to sort) vehicle you've owned or currently own? We bought a new tractor battery last week. It's good to have one charging and one in use. There are cheap mains electric fencers around a hundred pounds/euros on the market. I have also seen solar electric fencers but they are expensive. One of my small riding mowers likes to go dead all the time but the most annoying one is my old 6 volt 8N. She doesn't go dead but will just out of the blue stop making a connection and have to have the battery connection cleaned. Will start one minute, work for a while, then not start at random. Gotta keep the stuff with her at all times to fix it. Our riding lawn mower was left here by the previous homeowner. It would go dead,not start,hear the engine surge. Sunday the boys took it apart,including the engine. My son didn't have kind things to say when he was taking the engine apart. It sounds better when it's running, so we will see how long it lasts. 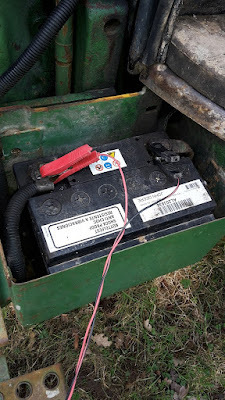 On lawn tractors I have found that often it is not the battery but the coils that are at fault. 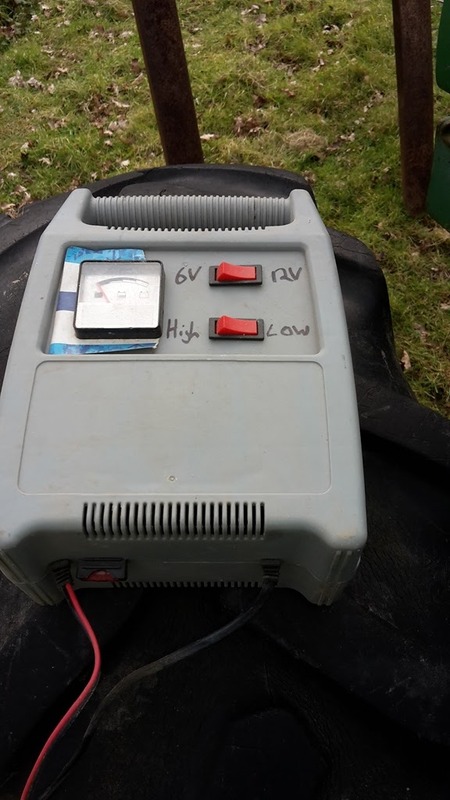 The battery has enough juice to spin the motor over, and it is getting fuel, but the coils won't spark, or spark very weakly even with new plugs and a fresh battery, especially in cold weather. Hit the coils with a heat gun for a minute or two and they work. Sure sigh that the coils are toast and due to be replaced.